Week 18 of my comfort zone challenge, I decided to take seat onto a bike, and do a bit of spinning. I’m not great with exercise, I tend to do as little as I can get away with, just to get me by. I’m brilliant for paying my monthly gym membership and not being seen in months, and when I am seen I’m in the jacuzzi. GlowBike was a place I hadn’t been to before, and I wanted to make sure I didn’t know anyone there. The glow of the place was quite clear, there was glitter and fake diamonds everywhere. Even the hair dryer in the mens changing room was full of glitter. There was quite a camp feel to the place, but not sure what I expected in Kemp Town in Brighton. I was professionally welcomed and dealt with brilliantly as I went to the beginner session. Once we were all set up, Tam, our instructor started to talk us through what was going to happen. 20 of us, all different abilities, would start to ride to some disco music, alongside strobe lighting and orders from Tam. As the song would ‘drop’, we would sprint, and as the song started to get slower, we would up the resistance and ride slower. Having ridden a bike in the gym, it’s safe to say this session worked me out harder than any gym session. People around you and music make you give it your all. I definitely felt like a guy that had no clue at points, as the experienced women around me, made it look easy. We then went onto the floor beside, for floor exercises. Tam told beginners to pick up the pink weights. Of course, by the time I got to pick weights, there were no pink weights left. No problem, I’m a strong bloke. Yeah, I’m not strong. I did well to make myself look like an idiot with the weights. I had to put them down at points because my whole body felt like jelly. This was a real workout, and for a guy that hasn’t done any real workout for months, I felt the effects. My Gluts (arse) were in pain the next day, I could barely walk. What must be said, I hate working out, and this was a good way to do so. Everyone loves music, and the effect it has on you keeps you going. 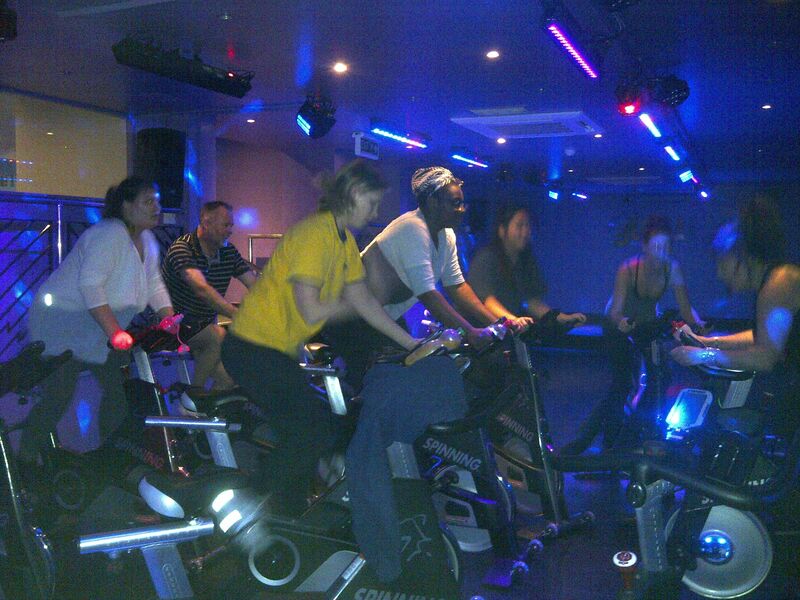 On my little training plan for the London to Brighton bike ride, I will definitely incorporate spinning. Business networking is common practice in the professional world. Working professionals meet up, at events, with the intention of purely talking about business, with the hope they make take leads to improve their business in the future. This could be a new customer, a new supplier, meeting a new stakeholder or could meeting key members in the chosen field they work in. It can be whatever people want it to be. What I have always thought, however, is that you need to be a certain type of person to do it. You know the type, extrovert, confident, suited, businessman. It’s no easy task just talking to strangers, talking about you and what you represent, and then letting the other person decide if it’s of any use to them. I’m terrible at talking to strangers, my usual conversation piece ends up talking about whatever the weather is doing outside. 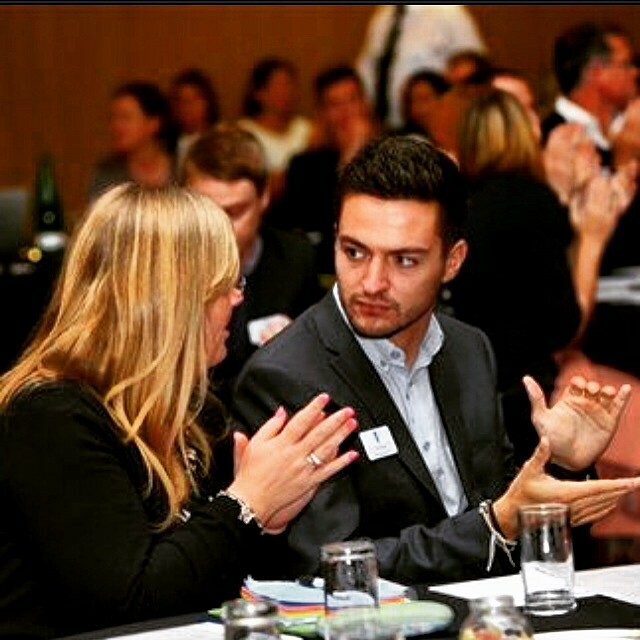 So over the last few months, I’ve been making a conscious effort to attend our networking at events where I work, called The Boundary Club. My thought being, if I keep chucking myself in this situation where I meet strangers, I’ll get better at it. 1) Dress up smart – You’re representing both yourself and your business, first impressions are key. More than 90% of impressions are made within the first 60 seconds of meeting someone by appearance and body language. 2) Be prepared to talk and listen – Communication is a two-way process, nobody likes people who do too much of either. 3) Bring business cards – You’re not living in the corporate world if you don’t bring business cards. The way the Boundary Club works, is you have a 3 course sit down meal, which also incorporates a guest speaker and sitting and watching some cricket as a backdrop. It feels quite relaxed, and it helps as when things start to get awkward, you have either the speaker or the sport as a go to in conversation. The environment is made for networking, a mixture of good food, good speakers, a few jokes from the MC, cricket and a few glasses of wine in the room make the environment quite relaxed. It’s common to just say hello to anyone in the room and introduce yourself, I still find this odd, but I’m getting there. I’m not sure if there is a set way to network, but I just used it to chat to people. Chat to people with some similar interests, if I don’t really know the industry they work in, just ask and use it as a tool to learn. Conversation is much easier when you actually take in interest in what they are talking about. I found myself talking about beauty therapies, the best way to keep my skin great to talking about civil service motoring insurance. I’m still no expert on either. I’ve always told myself I’m rubbish at meeting new people, and it goes back to last week’s fire walk, you tell yourself something enough your mind sends out that energy. I’m no master at networking, but I’ve had enough random conversations over the years to be okay chatting to new people. The stigma that goes with talking to new people is something that is getting easier, and will only improve as I do more of this. The brain really is fascinating. 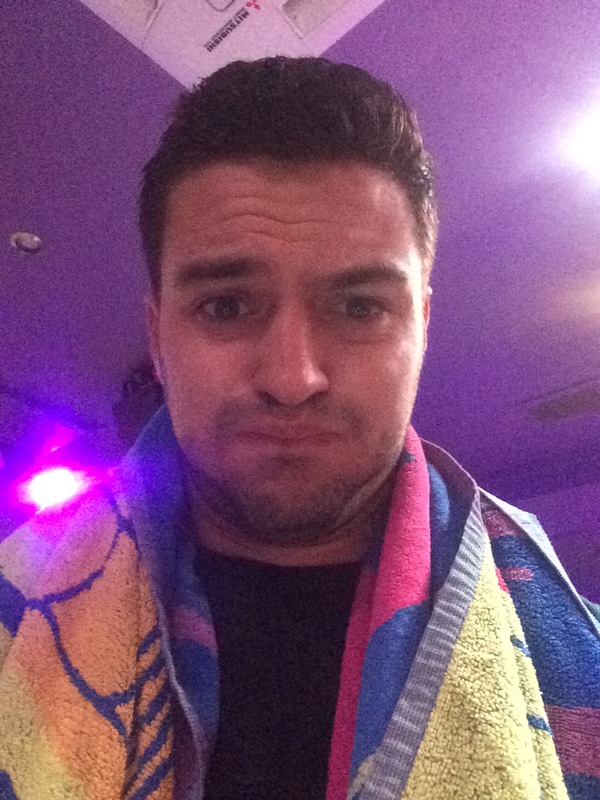 Week 16 of my comfort zone challenge saw me do a Fire Walk for the Sara Lee Trust. 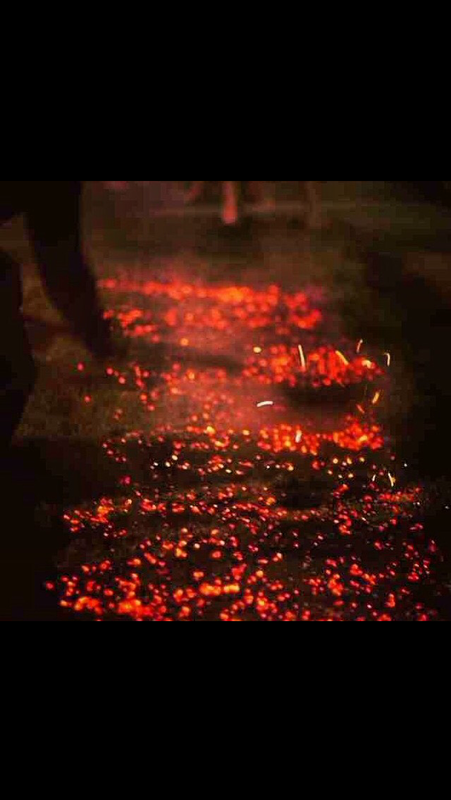 A bare foot walk over red-hot wood embers measuring around 800 degrees. No tricks, no special effects. Just me and the fire. I originally got an email informing me of the fire walking idea. The subject line being ‘BRAVE AND FEARLESS PEOPLE NEEDED’.. of which I am neither. Though, when I read about it, I entered without hesitation. The only time a little bit of fear came around was a couple of weeks after signing up, on a tube journey with my friend who said “yeah, but what happens if you trip up?”… Bloody good point I thought. I have to admit, I did have the attitude of they wouldn’t let me do it if it was dangerous. 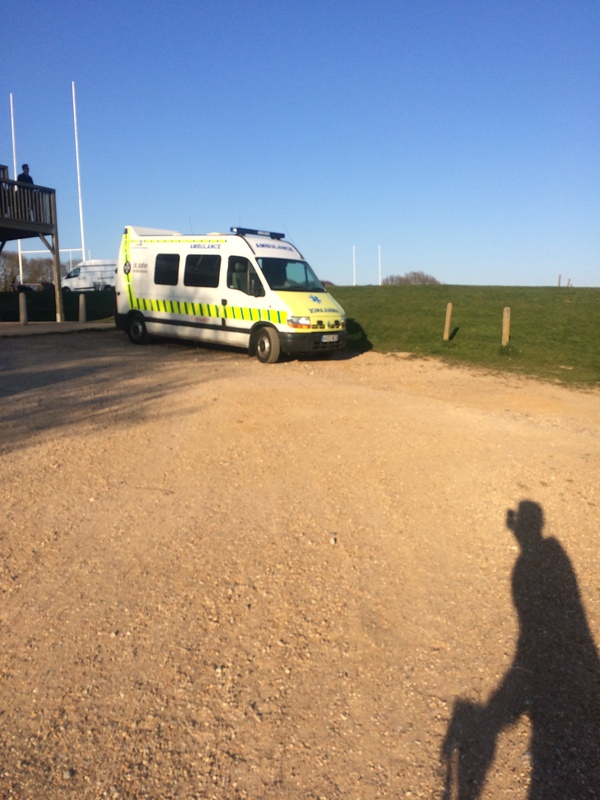 It was only on seeing the ambulance upon arrival, I remembered this is dangerous, and the nerves kicked in. Granted, the physics are there. Both wood and the human foot are poor conductors of heat. The time that the moving feet having in contact with the wood isn’t enough to cause real damage, and if your feet sweat, the moisture can help to prevent any burning. That said, you are still walking on fire. Your brain still tells you, you should not be doing this. That was until we went through the 2 hour training session that is. This training session had nothing to do with walking techinque. It had no practice on any fire. There was no rubbing the feet with any moisture. This was all about getting into the correct state of mind. For an hour and a half, we went through a mental journey. Starting from posture , what you say in your mind, to physically shouting. You know that posture you have, when you feel like you can take on the world in the morning. Recreating that. You know that voice, that says you can’t do something. Telling that to shut up. Making sure everything in your power is telling you, you can do it. Cliff, our instructor, was one of the most motivating people I’ve ever met. Through posture, visualisation and voice he took me to a place where my body was genuinely tingling and I felt I could take on the world. By the time we had finished the training, I honestly felt as if I could take on a round with Muhammed Ali in his prime. I felt invincible and more pumped up than I’d ever been in my life. The first five walkers went immediately after each other, and even when Cliff stopped me for what felt like 10 minutes before my go, to heat up the embers, I was 100% walking through that fire. “What’s your name? !” Cliff shouted. “TOM” I belched back and then before I knew it I was on the other side, giving the biggest fist pump of my life. The release was incredible. It sounds ridiculous, but I felt so alive. Adrenaline flying through the body and it took me a good couple of hours to come back to reality. What’s more, these techniques to over come the fear, weren’t hard. This is something replicable in everyday life, every time nerves take over your body. It’s amazing how much your brain controls what you do. My brain sent out those tingling feelings and the feeling of invincibility, not Cliff. There was no hypnotism, no tricks, just the brain opening up your body. I challenge you, next time that voice that talks to you in your head says “I can’t do this” put another voice in there to tell it to shut up and tell yourself 5 times that you can. Once you get over your inner demon, half the job is done. I can’t tell you how much I enjoyed this, and further to this I managed to raise some money to a great cause, The Sara Lee Trust. I must thank all those that have donated and all those that came to support me. I must also mention, Rob Marchant’s stag do which I missed to do the fire walk, many congratulations sir. For those interested, I did have 3 small burn blisters on my left foot after the walk, a small price to pay for a great experience. 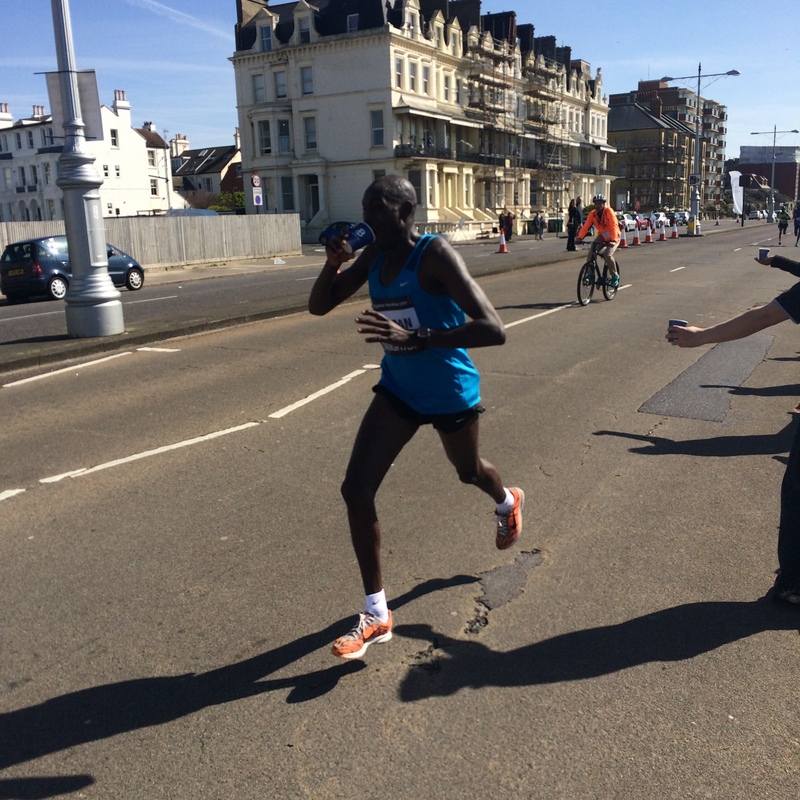 Week 15 of my comfort zone challenge, and this week I volunteered down at the Brighton Marathon. Not quite in the physical condition to do a marathon myself, I thought I’d at least help out those who are! My role would be to be at the drink station at mile 19 of the marathon. This meant setting up, filling up, giving out and clearing up. The briefing time for the volunteers was 8am, so this meant a 6am alarm, and me being completely sober on a Sunday morning. That alone constitutes outside the comfort zone. I met at the King Alfred Leisure centre, signed in, received my volunteer bib and packed lunch and then waited for instructions. I was told my team were going to be short, which didn’t make me happy when I looked at the items we needed to move (below). We were briefed and the first instruction from our leader was “we need a couple of strong guys to take the Gazebo to the mile marker, about a mile away.” Somehow I ended up with Gazebo, despite not meeting his qualifications. We moved all the gear to the 19 mile mark, set up the Gazebo, all the tables and separated the Gatorade and Water to each section. The next thing to do was to pour all the drinks, from the bottles, into plastic cups. 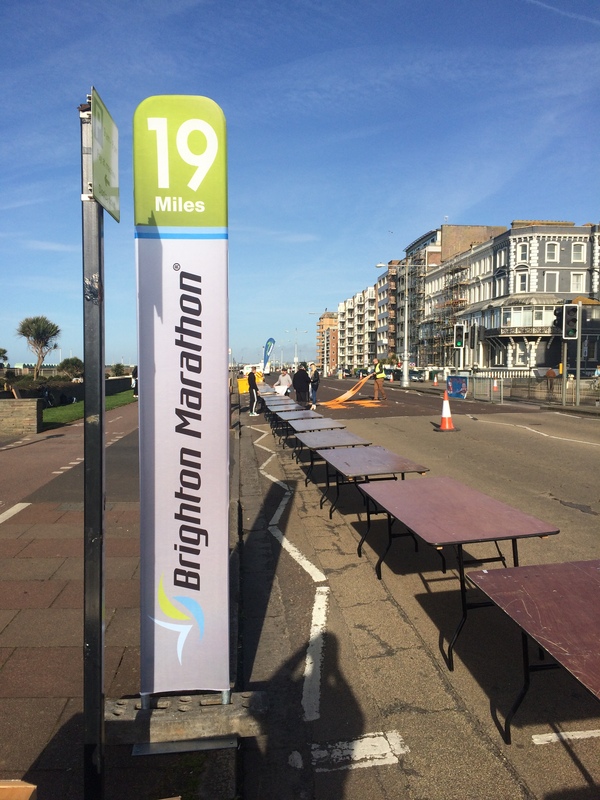 This would need to cater for the 16 000 people that run Brighton Marathon. We started working in pairs, one placing and holding the cup, the other pouring. You’d need two people as the wind was a nightmare, and it was a comedy show trying to do it by yourself. Don’t worry, I tried. As a team of about 15 volunteers, there was soon as sense of camaraderie as we soon started getting on whilst pouring the water/gatorade. The highlight of this being a sing-a-long to Under the Bridge by Red Hot Chilli Peppers together, amongst other 90s rock tunes. 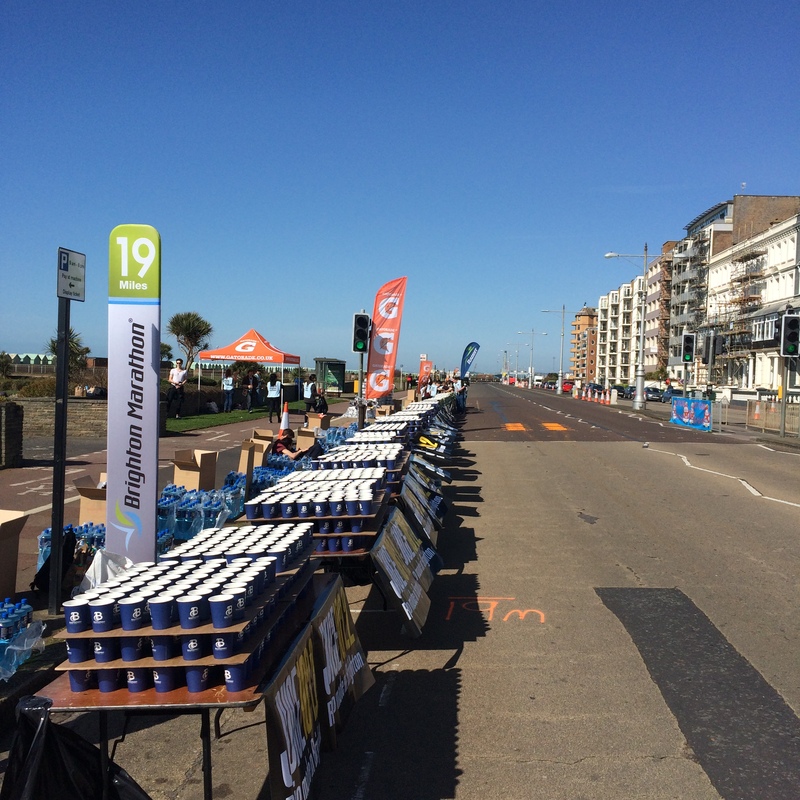 Fortunately, for the volunteers not the runners, we were blessed with sun. This made life a lot more pleasant as we sang in the sun and poured water. 10.40am the elite runners would start to go past, our volunteer numbers had doubled, and all 30 of us stood holding our arms out with water hoping the elite runners would take one. It was a bit of competition to begin with, as the runners were so few to begin with. Slowly but surely, the pack started to build and the job started getting harder. The faster runners would get you drenched as they’d try and take the water as they’re moving too fast. You’d be turning as quick as possible to make sure both hands are full of water, all the while you’d be shouting as loud as you can to encourage these guys. This continued for hours, and as time went on, people seemed more and more grateful. Shouting out someone’s name on their shirt always got a smile. I may have shouted “Well done” a few thousand times, once I had started shouting it, I felt everyone needed some of my motivational shouting. I shouldn’t write this, as it’s so wrong considering the runners ran 26 miles, through complete pain and agony, but I have to say my arms and back were aching like mad by the end of the day. Not to mention my voice going. This was by no means an easy day out, and ironically despite handing out thousands of drinks, I didn’t stop for a drink myself. What I loved about the marathon, is the sense of community that it brings out. Everyone, is out there cheering people on, people they have never seen before, and may never see again. They may even pick up the phone and be rude to them tomorrow, but for one day, the whole of Brighton are in it together. Once the majority of people had gone past our station, and it was time to clear up. You wouldn’t believe how many plastic cups were on the floor. Snow ploughs we needed to clear it all up. Half an hour of scraping plastic cups off of the floor and the station was stood down. 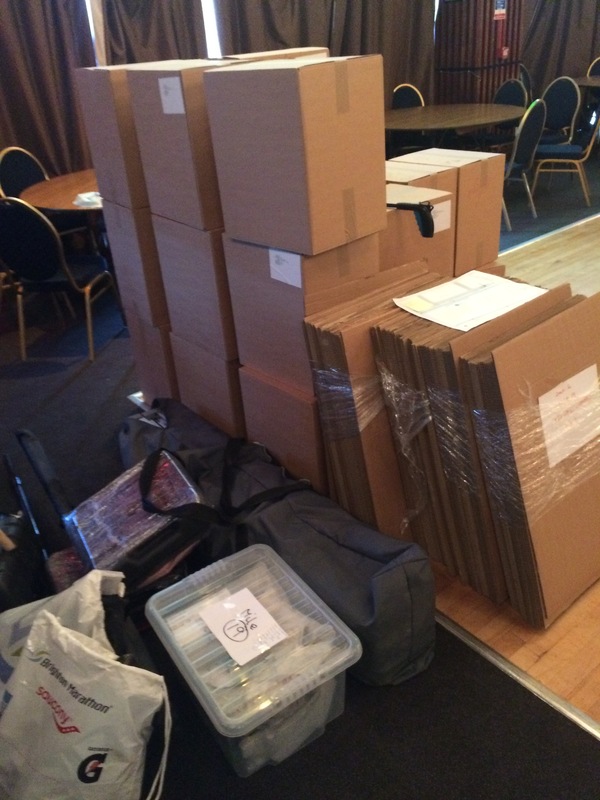 2.30pm, I ate my lunch and returned all our gear back to HQ. I happened to watch my mates play football the day before the marathon. One of the opposition team was injured and needed to come off. They called for a substitute to come on to replace him, and asked “Can you bring some water for him as well please?” To which the sub replied “I ain’t no f***ing water boy” and ran past the water, onto the pitch. Well, I’m proud to say I was a water boy at Station 19 today, and bloody enjoyed it. We received at Brighton Marathon 2015 hoody for our work, but the sense of doing good and well being was the real thing we all took away from it. I guess what’s clear is that I should do something like this myself – WATCH THIS SPACE! 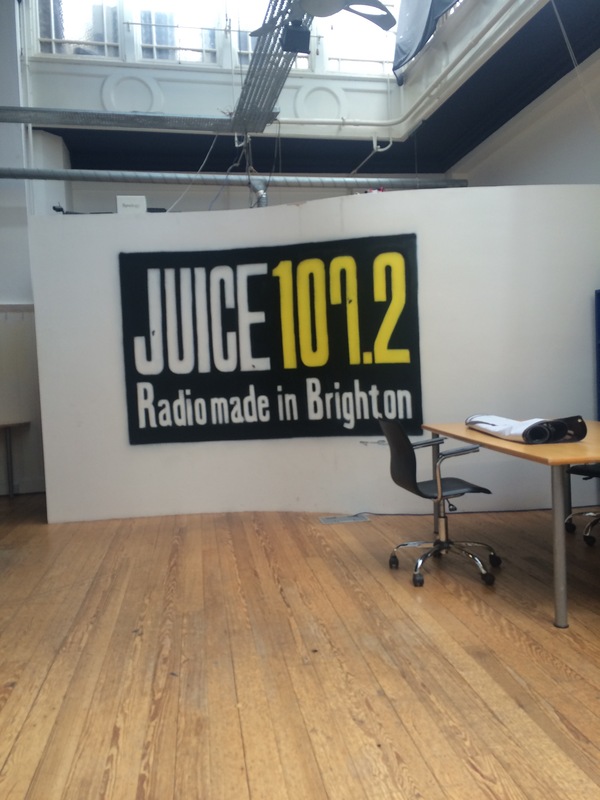 Week 14 of My Comfort Zone Challenge and this week I delved into the world of radio, by making a guest appearance on Brighton station, Juice 107.2. Before I describe the events of what happened on the day, I will first take you back to my final year at Bournemouth University. My housemate, Andy, and I were offered a radio show on the University radio station. A great opportunity and experience to do something different. We both liked the idea, and even came up with a brilliant name for the show, Bants and Decs (tell me that isn’t genius?!). 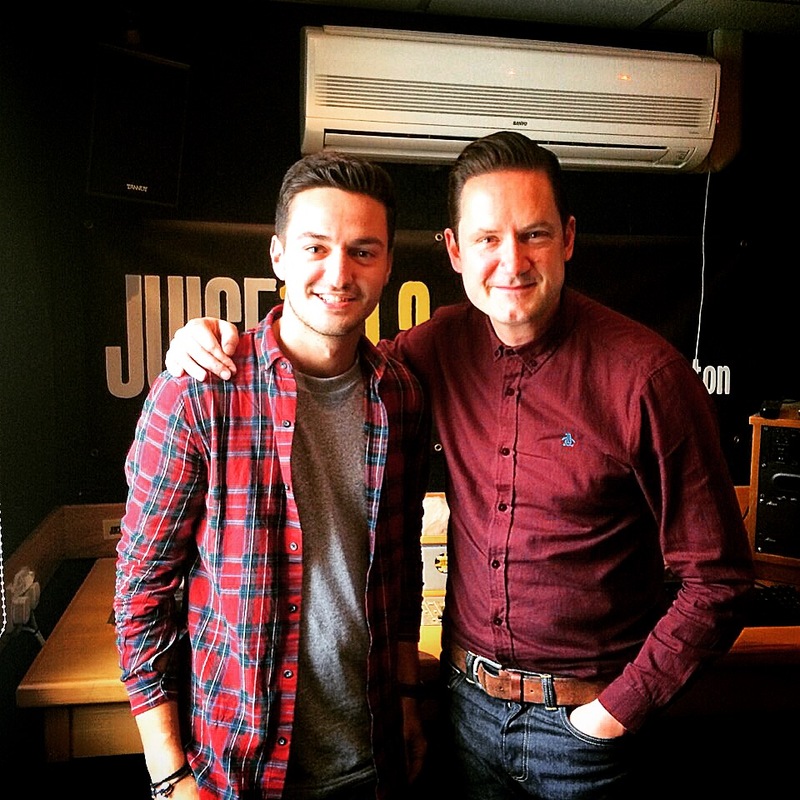 However, despite there only being 27 listeners at peak times, I bottled it as I was worried about embarrassing myself. I can’t speak for Andy here, but neither of us did the show, and to this day I regret not doing it. LIFE IN THE COMFORT ZONE! So I was really keen to right a few wrongs, overcome a previous demon. 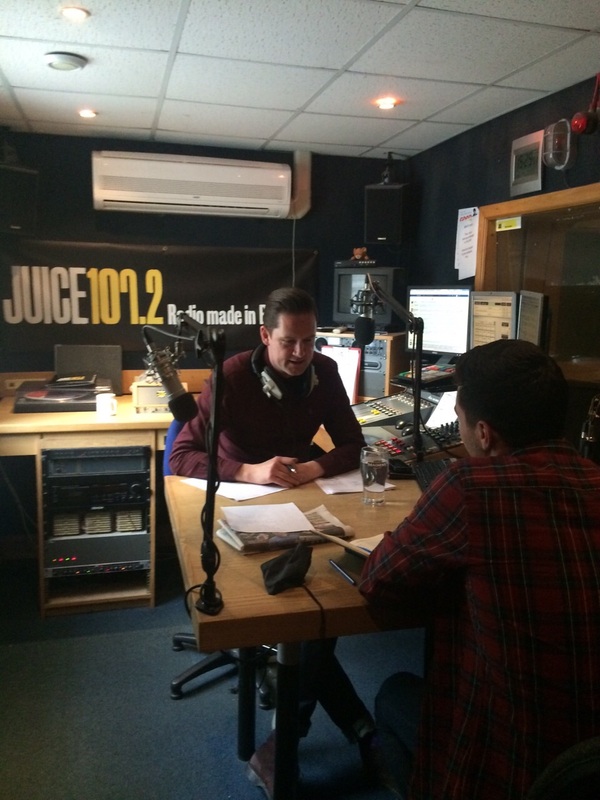 I was very fortunate to be given the opportunity to interview on the drive time show, for which, I’m extremely grateful to the Juice team, particularly Hannah and Guy. I was also lucky enough to have something worthwhile talking about for a radio interview, something I’d never have had previously. It’s fair to say the butterflies were flying in my stomach before this. In an attempt to settle them I went to Nando’s, on my own, with a notebook. I made a couple of pages of notes about all the tasks I’d previously done, as I knew I would freeze on the spot. Honestly, I’ve got a memory of a goldfish at times. I finished my butterfly chicken, and sat there like, what happens if I freeze? I was told it would be set up as a friendly chat style interview. I love a friendly chat normally, I could talk for days, but not under the pressure of thousands of people listening. It was too late by this point to change anything. I have to say writing notes was one of the better ideas I’ve had in my time, unlike eating a phall, as it was my go to throughout the interview. Once I was there, everything seemed to go a million miles an hour, about the same speed as my heart. Two glasses of water to clear my throat, a quick run down of how the interview would go, The Kooks and Route 94 later and I’m being introduced on air. I couldn’t really remember what I said until I listened to the interview back. ‘Hopefully I’ll make a few people’s life more comfortable, by making mine uncomfortable’ Where did that come from? Though I was only on air for a couple of minutes, it really did seem like ages. It’s very strange talking about yourself for people. Once I finished on air, I was in a bit of a trance. My phone was going mental with people contacting me, and I just walked aimlessly through Brighton whilst my heart was pumping. It took me a while to come down back to reality. Not sure my heart would have been able to take that on a regular basis if I had have done a show at Uni. My only regret is that I didn’t request a bit of Oasis Rock N Roll Star or Live Forever to play me out. Instead, I got a bit of Gwen Stefani, Ain’t No Holla Back Girl. I suppose I ain’t no Holla Back Girl, whatever that is. Anyway, have a listen for yourself below. Let me know what you think!